Did you make crafting plans in 2018? Did you check back to see how much you completed? Or are you a spontaneous soul - that likes doing things on a whim? Really, either approach has its pluses and minuses! I am a planner. I start thinking about the next year in November - not intentionally - but my brain starts percolating. Plans firm up more in December. By January I usually have a fleshed out list - a map for the New Year. Do I get it all done? Nope, but it gives me satisfaction to see the road ahead. After all, January is kind of a natural beginning. Shawl - with beads - for my daughter. (Nope). a road map of sorts. 2019 projects are firming up. I love this little dress: simple, feminine and practical. It can be worn in the summer as shown, or in cooler weather with a long sleeve shirt under it - and as the child grows it can be worn as a tunic with pants. I have two yarns chosen by 29 Bridges Studio of Maryland: Coral Reef - a cream with speckles of red and rust and Prue - a solid red. This is a Super Wash Yarn. This garment is a feminine tee perfect for spring and summer. I have Cascade yarns Sunseeker yarn, cotton and acrylic - that is machine wash and dry. Two colors: a light orange and a light green (two tops) with very subtle sparkles in the yarn. Perfect for a child. This goal seems a little indulgent. Three sweaters? 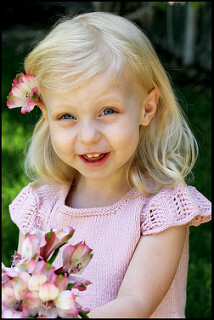 I have hand made sweaters and I seldom wear them. There is always something that is not quite right about them. But ... ever hopeful me, I will find the perfect pattern for me. Here are my choices. 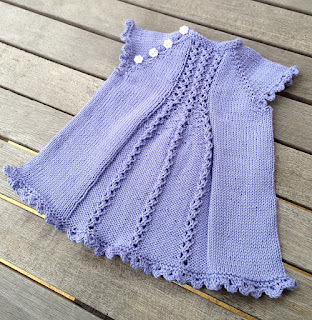 Shibui Knits - Cirrus by Nancy O'Connell. This is described as a poncho. It is poncho-like. It has a cowl neck, wide sleeves and a curved hem. 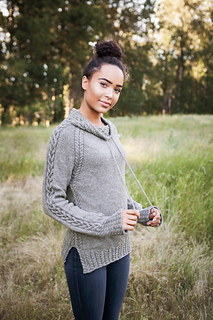 The pattern was a bit pricy ($10) but free if you purchased the Shibui Knits yarn. Unfortunately that yarn was well over $200 to purchase and I was pretty sure I had just the right yarn in my stash. Obviously, we shall see. I usually get into trouble when I substitute yarns. *sigh*. The yarn I have chosen is Brooks Farm Yarn Mas Acero in a black/gray/dark lavendar color ways - the colors have very short runs. Harley by Jenny Williams. 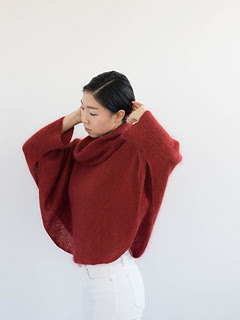 I purchased the yarn this pattern for different sweater 2 or 3 years ago and discovered before I made the whole darn sweater ... the first pattern would not be right for me. I picked this new pattern. The yarn is by Purl SoHo and is 75% Extra Fine Merino and 25% Cashmere and it was expensive so I don't want it sitting in balls in my stash. The color is called Tidepool and is not far different from the color in the picture - except that the Purl SoHo yarn color seems to look somewhat green in certain light, blue in another light and gray in yet another light. Interesting yarn. Lady Jane by Susan Mills. I set my sights on this sweeter probably 10 years ago. I am going to make it this year! It is perfect for every day use. Yarn choice still under consideration. 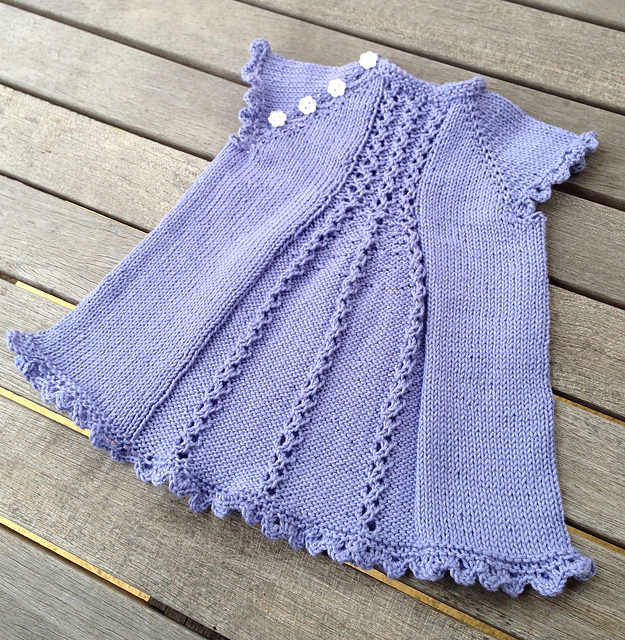 Mignon by Justin Lorkowska - Sweater for my grand nephew's August birthday. 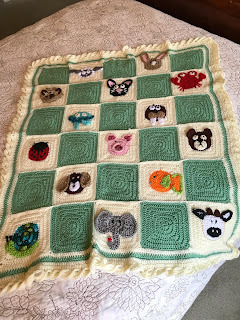 I found this pattern for him before he was born and just loved it. 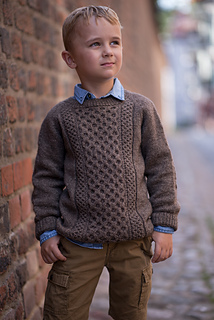 Originally on my 2018 list, I decided to wait to make a bigger size - 2T - so he has time to wear it longer for winter 2019-2020. This is a top down designed pullover with Honeycomb panels. The yarn I have is Cascade Yarns, 220 Superwash Sport in a seafoam blue. Create 3 cowls - one for me, my daughter and my daughter-in-law - I have made many shawls but don't wear them as much as I thought I would. No shawls this year - just cowls. No patterns or yarns picked yet - but I have plenty of both and just need time to make decisions and put both together into kits ready to knit. 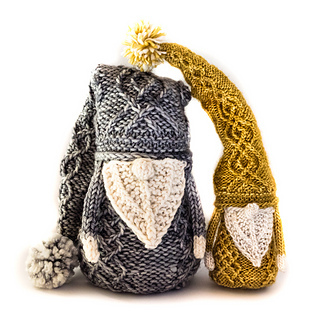 Gnomes - these are so darn cute. I have no choice but to make several of them. Nothing but the pattern picked so far. I started a basic 'learn-to-do tapestry' sampler from a book in 2018. I enjoyed it, but got swept away in children's projects ... and so the incomplete sampler sits idle. I'd like to finish it and do an actual tapestry picture this year. So those are my plans for 2019! I think the scope of the projects is probably way to large but oh well. I have stopped looking at all pattern websites and yarn companies. The more I look, the more I think I would like to do. It never ends. Do you make craft plans? I am pretty annoyed with Blogger. I could not get all the type in black no matter what I tried! So some of it is red! Stupid Blogger!!!! I don't make firm crafting plans. 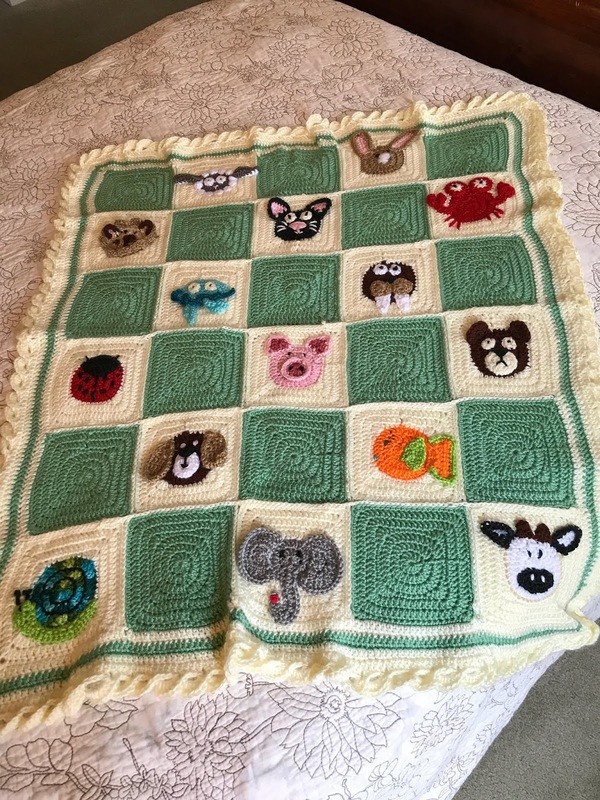 I hope/plan to spin for Tour de Fleece every year, and have gotten drawn into some other Ravelry challenges, usually in the Jenkins Spindles group, and this year it looks like I may be playing along all year – without an advance plan! Your work is beautiful! What treasures you provide for your grands. I don't really plan. But I get really excited when people ask me to crochet them something. Last couple of months I did a blanket and 6 neck warmers. Beautiful work. No, I don't make a list. I try to use yarn I have on hand for the charity knitting and crocheting (which is mostly afghans), and I have a few ideas of things I'd like to make myself...somehow that never happens, lol. I've made a rough crafting plan for 2020 including sewing, knitting ect, but there are also charity things I'll make, and because I am a person who buys the fabic or the yarn first and then chooses the pattern or project im sure my crafting plan is a living thing. Time to get out and blog again, so stopping in to say hi.